An overview of why you should always think twice when choosing an icon for your keypad. 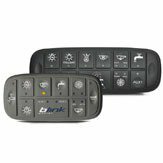 One of the most important aspects of the CAN keypads produced by Blink Marine is its ease-of-use for people who have to work with it, in other words for those who use the keypad on a daily basis, often in an intensive manner, whether for work or in their free time. 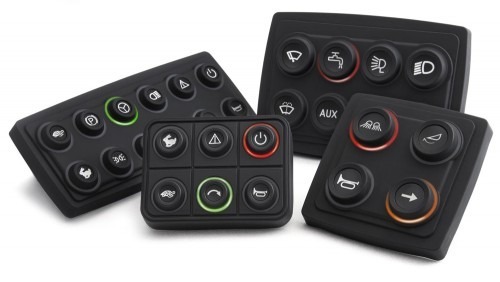 In order to make its keypads easier to use, Blink Marine carefully oversees even the smallest details of its product design, crafting them to be not only resistant but also intuitive and simple to understand. 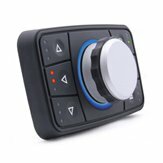 The choice and design of the icons that designate the functions of each individual key are one of the most crucial aspects of the design for the efficiency and ease-of-use of CAN Blink Marine keypads. 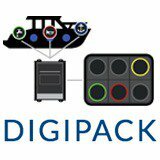 The keys must not only be easy to recognize, but also integrate fully with the rest of the control panel, and eventually with other HMIs present onboard. 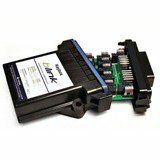 The careful attention the company pays to this aspect is one of the reasons Blink Marine keypads are so successful. 1. Icons are easily recognizable symbols that can be associated with specific actions in an intuitive manner. This is particularly true for standard symbols that everyone has seen or used over the course of their lives. And also for specific functions, a good design is fundamental in order to facilitate concentration and reduce errors connected with on-the-job distractions. 2. The use of carefully designed icons also plays a central role in terms of rationalizing the available space. They can be optimized in compact spaces such as those provided by CAN keypads, and the right design approach makes it possible to highlight a great deal of icons within a relatively small area. 3. Unlike even the most clearly written instructions, icons never need to be translated. Although it’s rare to find “universally recognized” icons, and cultural differences should never be taken lightly, the use of icons makes it possible to define international standards more easily, without any need to further multiply the different versions employed. 4. The right icons facilitate the aesthetic appeal of a product: when they are carefully designed, they often prove an extremely appealing element. In other words, they become an added bonus, and rarely pass unnoticed. 5. Icons can also be an element of brand recognition, and provide concrete, visible support for an entire family of products. Today Blink Marine provides its clients with over 400 different icons. 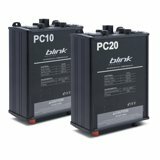 Each icon is designed directly by Blink Marine, starting from several fundamental guidelines created to make the final result as simple, easy-to-understand and aesthetically attractive as possible. Today every single Blink Marine icon is designed by starting from the most schematic simplification possible of the function that icon is being used to describe. Graphic details are minimalized as much as possible in order to simplify interpretation of the key’s function, highlighting only the basic characteristics of the object identified, rather than its real life application or function. 3. The coherence of the symbols with respect to the company’s brand, image, reputation, etc. 4. In designing icons, Blink Marine pays particular attention to making sure the icons are at once easy to recognize and memorable, testing them together with the client in order to verify the results.